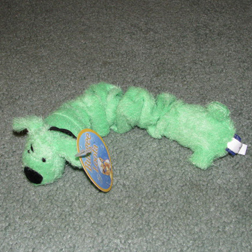 Jolly Puppy toys has dog toys and bones. Dog & Puppy Toys and Bones to make your Puppy happy. 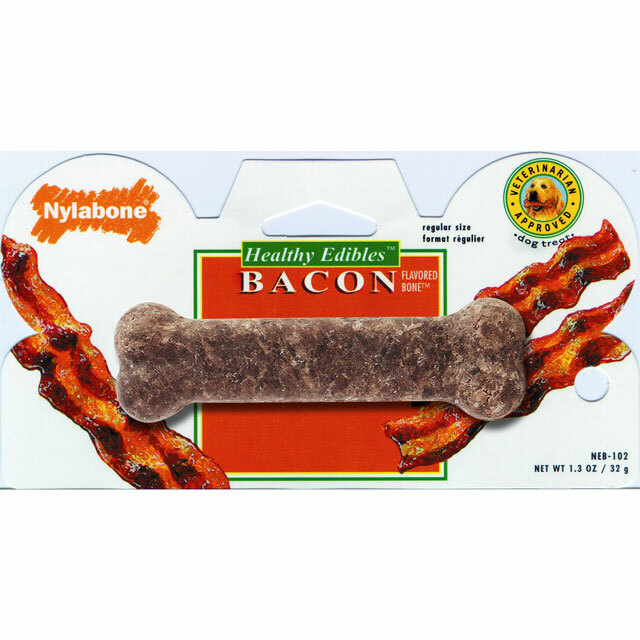 Nylabone Healthy Edibles are edible and digestible, providing an enjoyable alternative to traditional rawhide. The gourmet health chews contain NO plastic and NO added salt or sugar. With a baked-in flavor from age-old Nylabone recipes, these chews are irresistible to dogs! 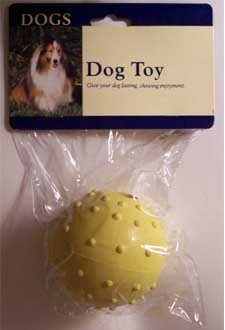 Fun and exciting pet toy for dog and owner. This K-9 Kannon is easy to use and has hands free tennis ball pick up. 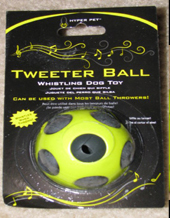 Cool and fun whisling tweeter dog ball by Hyper Pet. This dog ball whistles through the air when it is thrown when playing fetch with your dog. 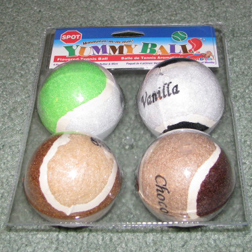 Yummy flavored Tennis balls for your dog. Great fun for both your puppy and you, as well as a way to keep your pet happy and healthy. Flavors are Vanilla, Chocolate, Peanut Butter and Mint. Sounds Yummy doesn't it? Dogs and puppies love them. 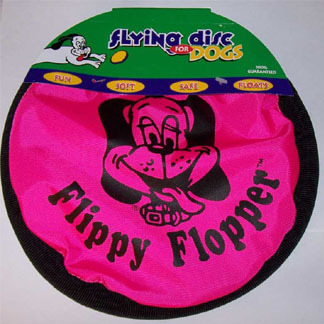 Works like a Frisbee but this Flippy Flopper toy soft on your puppy or dogs mouth and teeth. Easy to wash. Durable and long lasting. 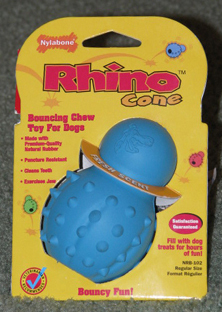 Its a fun dog toy for you as well as your pet. 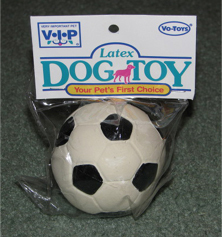 Your dog might think this puppy toys is real. Soft and Cuddly with a Long Lasting Sqeaker. Approximately 5" Diameter and 5" in Height. Made from Free Range Cattle. This dog bone Freshens Breath & Keeps Teeth Clean & Strong. Reduces Tartar & Fights Plaque to Improve Tooth and Gum Health. Size 8"-9"
Approximate size of a Tennis Ball. 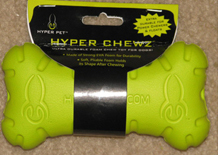 Eva Foam Dog Chewz Bone by Hyper Pet. Very durable and safe. Vinyl and fabric little shoes, for a small dog. Chewable and they squeak. IMPORTANT THIS TOY IS SMALL AND FOR A SMALL DOG. THE SIZE IS 4.5 INCHES LONG AND 1.25 INCHES WIDE. Approximately 12" Puppy Toy that Squeaks! 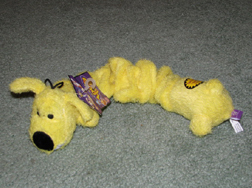 Yellow large loofa dog toy that stretches and squeaks. Soccer Ball Dog Toy with Squeeker. Soft squeezable hedgehog dog toy by Vo-Toys. Football loofa Sports Dog Toy. 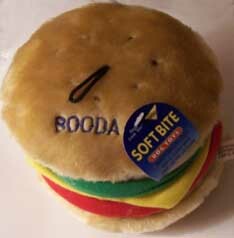 This cute and soft dog toy squeaks when it is squeezed. 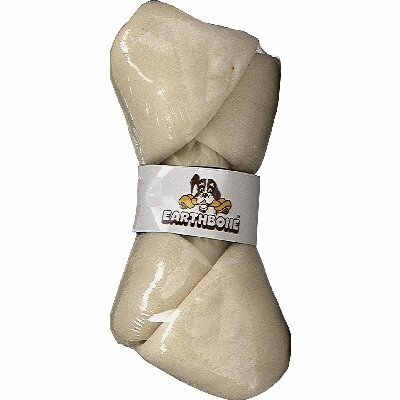 Dog chew toys with interesting and bizarre squeeze sounds. These fun and interesting toys are 7 1/4" to 7 3/4" tall. They are quality hand painted toys with all natural latex. 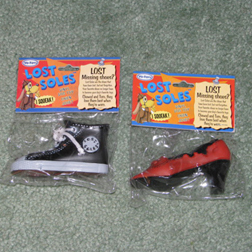 For more info click on the toys. Tennis ball launcher by Hyper Pet. Launcher comes with 4 tennis balls. 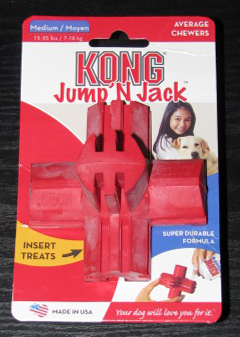 Kong Jump' N Jack Dog Chew Toy. 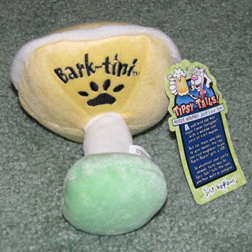 Insert treats into this fun and erratic bouncing dog toy. This item is made for Medium size dogs 15 to 35 lbs.